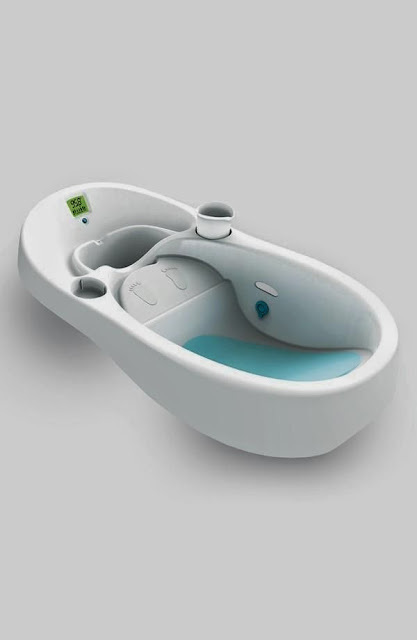 The Best Infant Bathtub You Could Ever Want! Are you ready to have a bonding experience with your baby? The Puj Tub baby bathtub allows for a hands on experience where parent and baby can relax and enjoy bath time. Made from a soft foam that folds and conforms to almost any sink, the Puj Tub cradles and protects the baby during bath time. 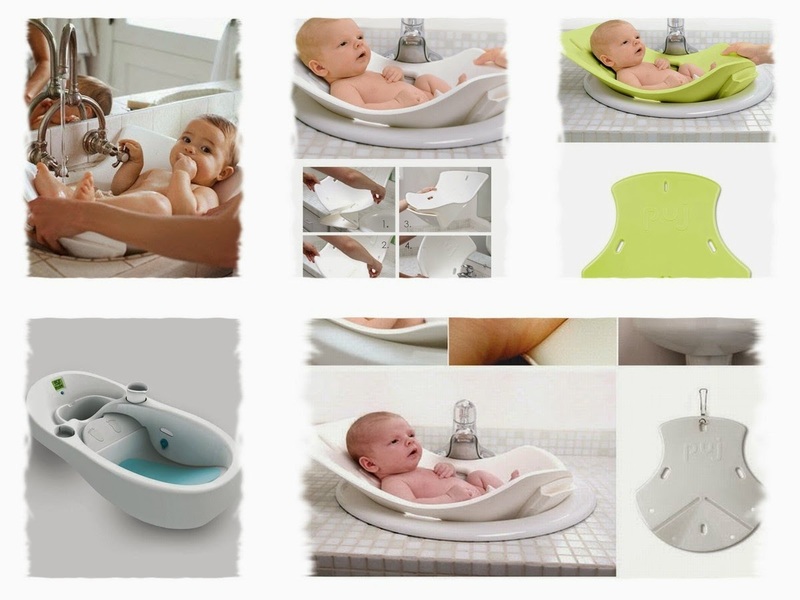 The soft foam material protects baby's skin from the cold hard sink, keeping baby feeling safe, warm and happy. The Puj Tub is easy to clean, just use simple soap and water. Because the material is made from a closed-cell foam, it doesn't absorb water – making the tub mold and mildew resistant! The Puj Tub is very soft and plush. 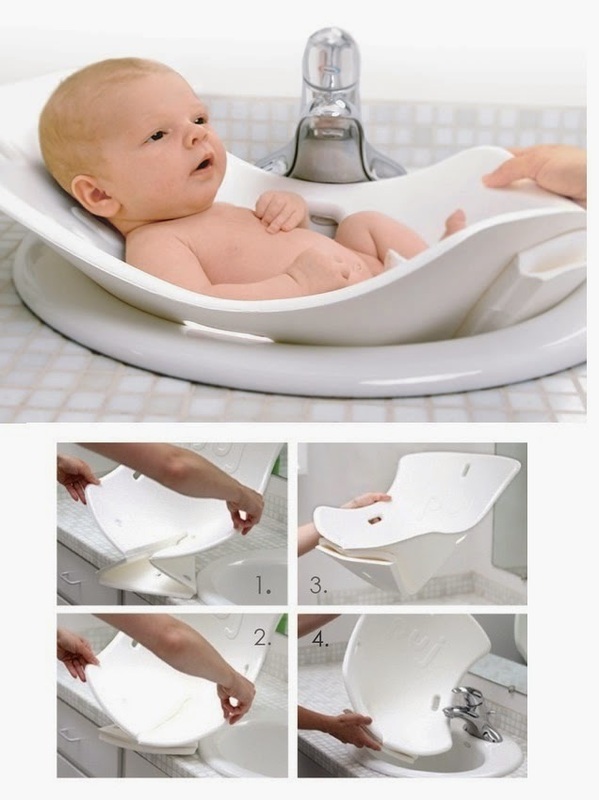 It hangs flat when not in use and uses magnets to hold its shape when bathing baby. The Puj Tub fits a wide variety of sink shapes and sizes. It uses of the sinks edge for support while being used. The ideal sink size is about 15 x 12 and at least 6.5 inches deep. Not sure if this baby tub will fit your sink? Just ask the friendly Puj Support Team. The perfect gift for the new parents! 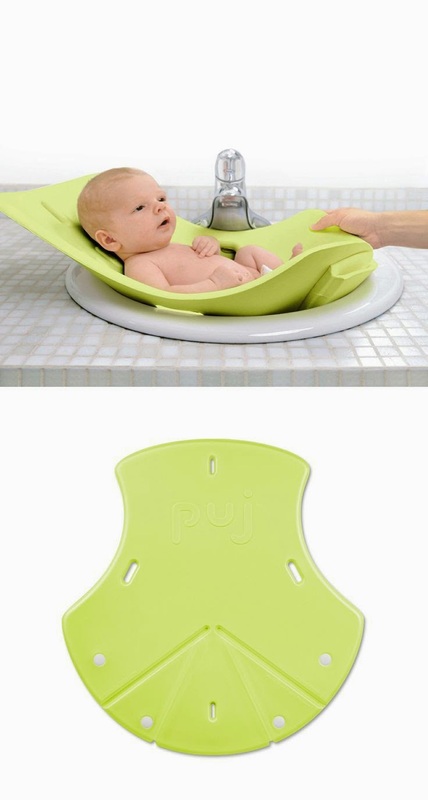 The Puj Tub allows parents to wash baby with both hands. 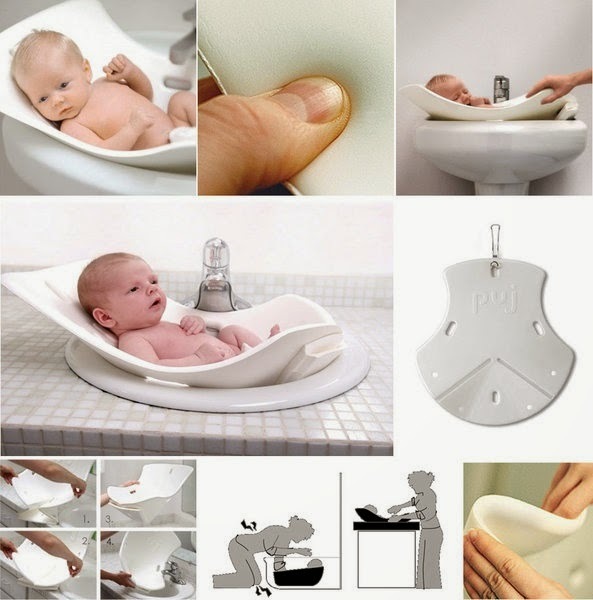 You no longer have to lean, bend, sit, or squat to bathe your child. Made from a soft, non-slip, PVC & BPA free material. The Puj Tub is easy to store, just hang it anywhere you find convenient and it will dry quickly. Blooming Bath is so much fun! The best way to bathe your baby! The Puj Tub is the easiest bath tub ever! Recommended Age for Using the Puj Tub for babies 0-6 months, or up to 17 lbs, whichever comes first. Made from a soft foam that folds and conforms to almost any sink, the Puj Tub cradles and protects the baby during bath time.